I’m Still Here….& Haute Time in the City. …saw one of my photos published in TIME magazine (a few months ago…it had John McCain on the cover) and just the other day, on Gourmet.com (hi Ruth)! The photo is a hunger-inducing shot of the burger at Westend Bistro by Eric Ripert – easily the best burger in town, if you ask me. Let me make my absence up to you: here’s the dish on two local designer trunk shows/parties happening this week. Happy hour near U Street today – one is in just a few hours! 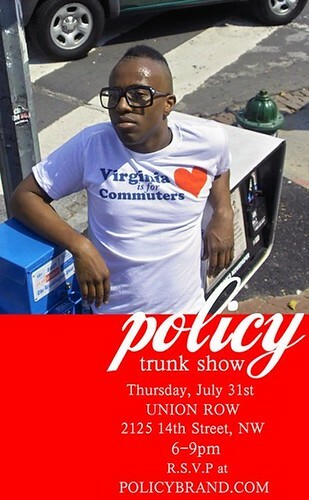 UPDATE: I had typed Policy’s trunk show as August 31 but it’s July 31 – *this* Thursday. I hear t-shirts are less than $20. So – affordable. yay! Who: Rochelle Behrens, lobbyist by day, designer by night. She started her line after becoming frustrated by button-down shirts that didn't fit (mind the gap!). Where: The designer's Logan Circle apartment. More details here. Buying: Credit cards accepted; garments are sizes 0-12. Sorry, I'm not sure what the word is on pricing, but I'll let you know if I hear before 6. What: DC mixed-media artist Billy Colbert launches Policy, a line of urban pop clothing for men and women. Who: Presented by Philippa over at The Pink Line Project, and sponsored by PN Hoffman, Busboys & Poets and Utrecht Art Supplies. * yes, that is Sheldon. **Can't seem to get much out of Policy's site (maybe it's my computer? ), but see some additional images here & here. Check out Christina, who was so lively and cute and who even does a little twirl at the end! Pretty Things Tonight @ Muleh. Since it's at Muleh, you can assume two things: that it's not cheap, and that upon seeing it, you'll feel as it you've found the jewelry equivalent of the perfect lover. Soon Washington will have another, yes another, fashion/social scene/party/lifestyle glossy. This time, the Washington Post franchise getting in the game. The Washington City Paper seems to have broken the news (with obligatory eye-rolling, of course) for FW (Fashion Washington). While the distribution model is a little disappointing, The Post isn't ripping off The Examiner exclusively at all; the paper seems to be considering all of the models its competition uses - select mailings and select retail drops (you can pick up DC Magazine at Muleh on 14th Street and Capitol File at Erwin Gomez in Georgetown). More on all of this later because I'm running out, but what do you guys think? Does Washington need another glossy? Could The Post fill an important editorial gap? Is this just a way to get in on a new advertising stream? 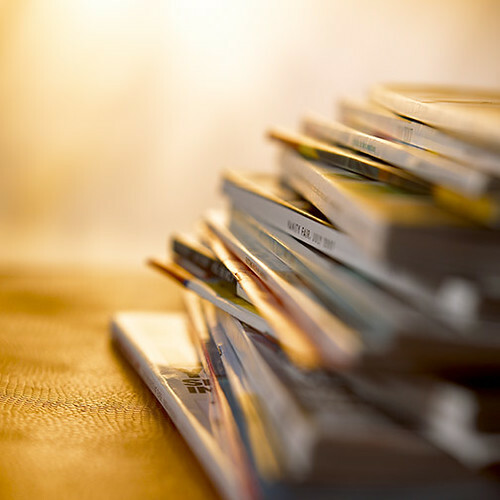 Do you think they'll get really conceptual and creative with it, like the New York Times' Style mags? In any case, I can't wait to get my hands on it. Somehow.